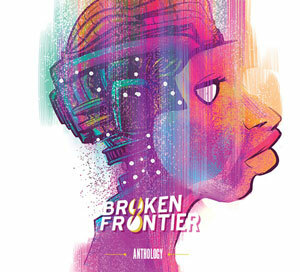 Since we announced our 2019 Broken Frontier ‘Six Small Press Creators to Watch’ back in January we’ve published a number of reviews of their work here on the site. Part of the ‘Six to Watch’ process, though, is also talking directly to the creators and finding out more about their process, inspirations, and approaches to the themes of their practice. Today we begin our series of spotlight interviews with this year’s six as I chat with illustrator Laurel Pettitt. 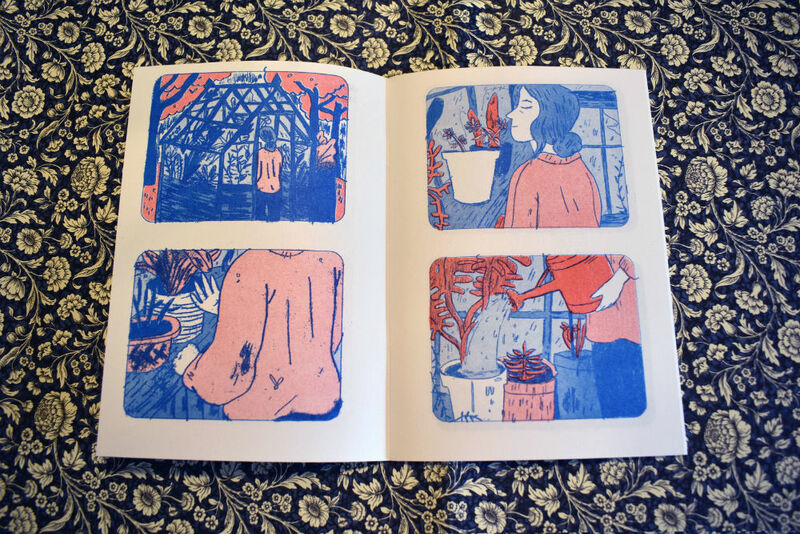 Laurel has tabled at events like ELCAF and Thought Bubble and may be familiar to UK-based readers for that reason. 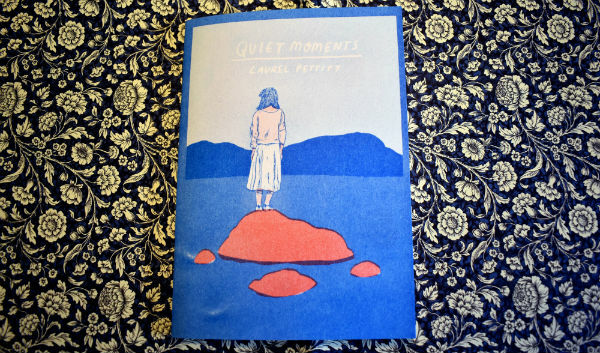 I reviewed her minicomic Quiet Moments last year noting that it was a truly evocative collection of short sequential scenes that spoke to the reader on a profoundly human level and ensured the deepest of empathetic connections between audience and page. ANDY OLIVER: Before we talk specifically about your own comics practice can you tell us a little about your wider artistic background? 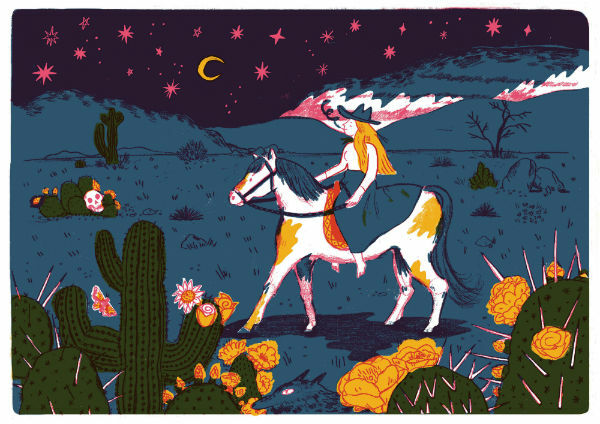 LAUREL PETTITT: My artistic background is that I studied illustration at university. It’s funny because a couple of years before then I had failed my A-level in Art and had vowed to never study art as a subject again. I had believed that art was something that you could just do in your own time, that you didn’t need to be taught it, that there were more useful things that I could study or pursue as a career. I loved to write, too. I was always very good at English at school but studying English at university also felt like a self-indulgent move without many job prospects. In the end the irrational desire I felt to capture the world and create from it overrode everything else. That and I didn’t feel ready for university or a full-time job and the fact that I had failed at something really grated at me. So I filled two years with a BTEC specialising in graphic design at an open college. Another thing about my background that might be of interest is my family because a few of them work in film and theatre, specifically in the scene and set-building side. I think from growing up with that mutual interest in films this naturally led me onto comics. AO: What was your entry point into comics? What is it about the medium that most appeals to you as a storytelling form? PETTITT: My entry point into comics was thanks to my mum. Growing up with Tintin and Snoopy books in the house gave me a sure footing when I explored the medium further as a teenager in bookshops in Cambridge. I also read and enjoyed a long list of webcomics which I think informed me of different ways of using the medium, because of their wide variety of styles, stories and subject matter. I think the potential of the medium is what appeals to me the most. You can do so much with its form, tell so much, and it’s so accessible! Comics, to me, are like storyboards for films, they are intimate, detailed, each frame is a piece of artwork that moves as you hold it in your hands. Potentially, comics could be instructions or poetry or installations, they’re like windows into another’s experience; after all it is sequential art. I found that a lot of comics have a wonderful balance between humour and the poignant, which I wanted to emulate and communicate within my own narratives. 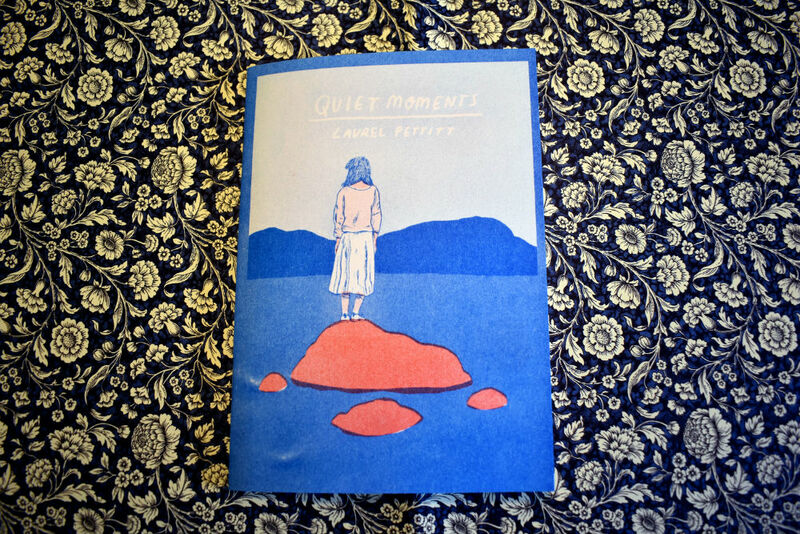 AO: Quiet Moments was the first of your comics I reviewed at Broken Frontier. Can you talk a little about what the premise of that collection of vignettes was? And to what degree was there an autobiographical element to it? PETTITT: The premise is that I bought an excellent Moleskine sketchbook from Waterstones which had little storyboard boxes on each of the pages. I started my first comic, without thinking really, it was the spread with the girl and the rock in the sea. From there, I wanted to use the constraints of two to four panels per spread to be able to tell a feeling or atmosphere. I was trying to capture the loneliness I felt at the time and the gratitude I felt for good moments I experienced within that loneliness. The burning house in the middle of the collection was not autobiographical. I think I had just wanted to draw a house catching on fire and I liked how jarring it was in the centre of all the calm comics, it was almost funny to me how surprising it was. 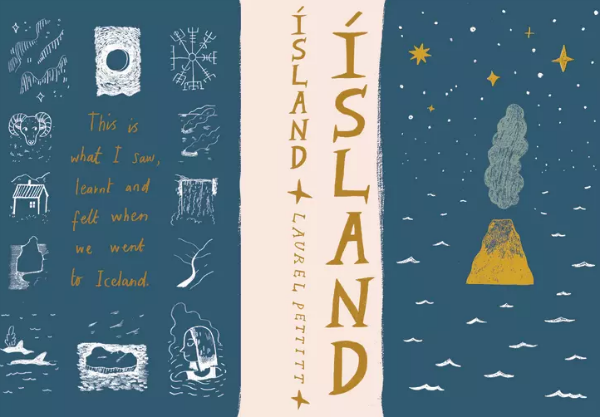 AO: Your longer-form book Ísland was reviewed recently at Broken Frontier when I described it as “a quirky and very likeable take on the graphic travelogue with a character all of its own.” What was the origin of Ísland? PETTITT: The origin of Ísland was that for years I’d been planning on going to Iceland, especially since my final project at university was based around the country. 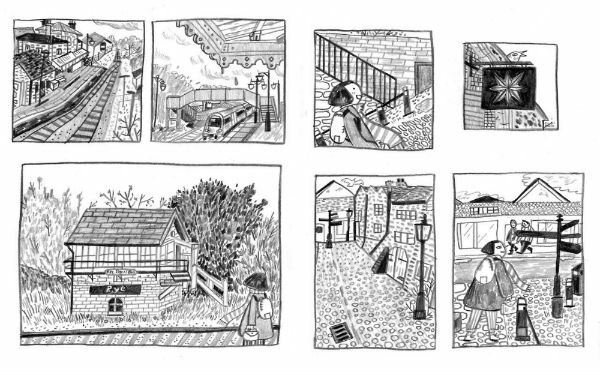 I took a small sketchbook with me and wanted to capture every day I spent there with my brother and sister. I didn’t start it thinking I would be making this into a proper book. 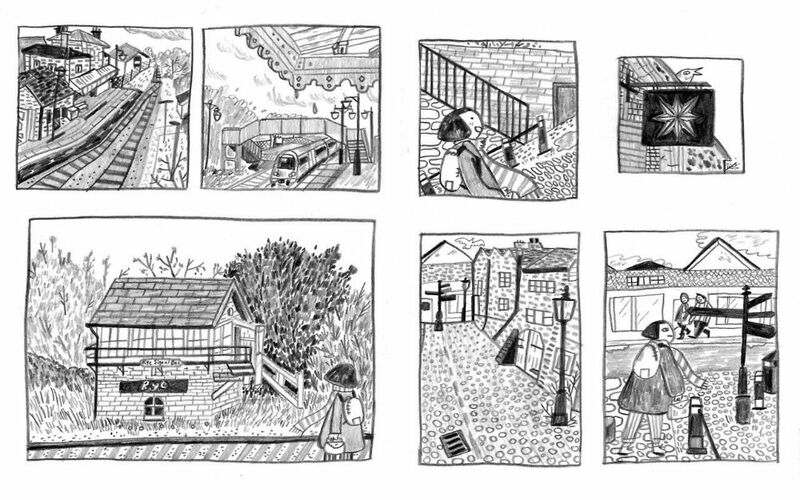 When I came back to England and showed the sketchbook to a friend she remarked that she loved it and I realised that maybe other people would like to see it too. 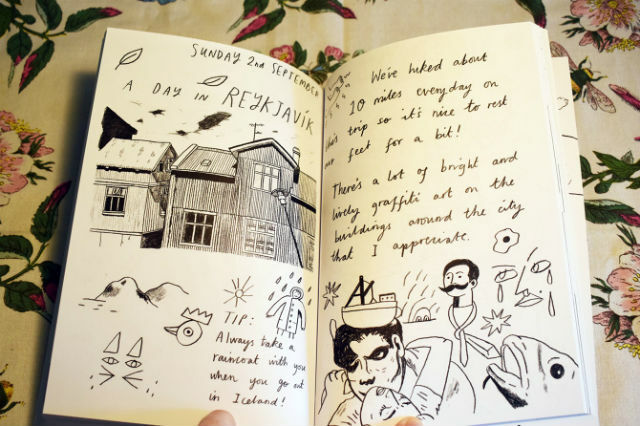 It wasn’t until about two years later that the sketchbook evolved into the final Ísland book. 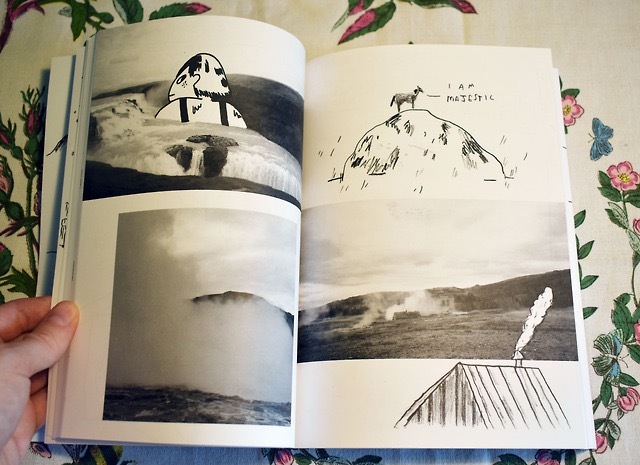 AO: The scrapbook-style presentation of Ísland gives it a very personal feel. Why did you choose that approach over pure comics? PETTITT: I chose that approach because the initial drawings I did on location had to be very quick as I didn’t want to lose the time I could spend actually experiencing the place. When I started editing the sketchbook I did think about redoing all of the work again to fit into a continuous comic but then I felt I could have lost the feeling from the original work, plus that would have been a lot of work to redraw when the originals were, in my eyes, good enough! Of course, I did cut some bits and add a lot more to fill out the book and give it more of an informative aspect about Iceland. I tried to give a balance between the mix of observational drawings, writing and comics which I think made the book flow nicely. AO: There’s a feeling with Ísland that it’s a book you created as much for yourself and your siblings as you did for an audience. Would that be an accurate observation? PETTITT: That is a very accurate observation! I wanted it to be something for my family to look back on and enjoy, almost like a photo album but more in depth. I’ve always loved looking through old family photographs, I find them very easy to connect with and there are always endearing aspects to the images that give you a sense of what the people in them were like. 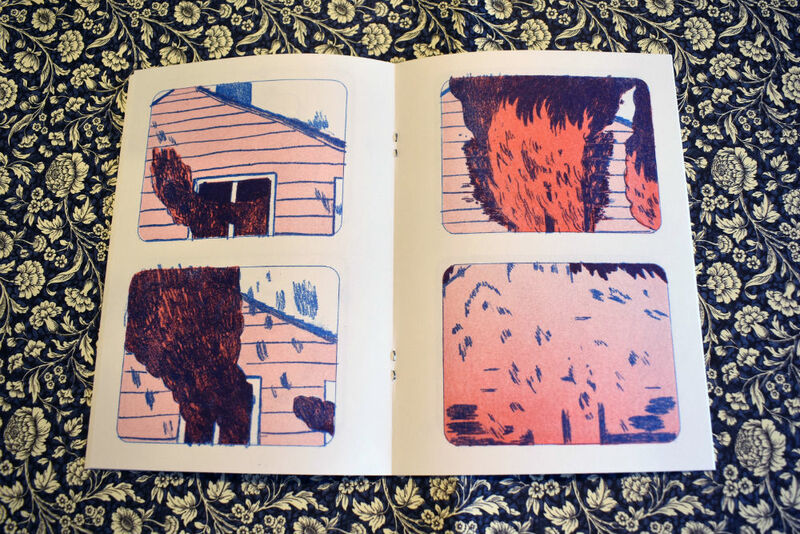 AO: I’ve described your hugely appealing artistic style as having “an uncomplicated innocence” that makes your comics far more relatable and expressive to the reader. Could you elaborate on your creative process? And in terms of your illustration what mediums do you work in? PETTITT: When it comes to my creative process I get these very clear images and ideas in my mind, that are usually quite simple and resonate on an emotional level, with a feeling. These images usually feature landscapes or people. I quickly scrawl down these ideas and then end up taking an overly long time deciding what medium I would like to further the idea into a finalised version. Pencil plays a very large part in my process at its core, and layering over this I work in either digital drawing, paint marker/brush pens to then create screen prints or riso prints. AO: There’s one core element of your work that I find quite outstanding and it’s what drew me to your comics when I was choosing this year’s ‘Six to Watch’. You have a remarkable gift for gently communicating emotion in your practice whether it’s the profound moods of Quiet Moments or the sense of excited discovery and family bonds in Island. Would you say that was a central part of your sequential art? PETTITT: Thank you for saying so and again that is an amazing observation! All I want from my work is to be able to communicate and connect with others. Now that I think about it, I think in every single panel of whatever comic I do, from light-hearted autobiographical to proper narratives, I do try to convey an emotion and show that emotion shift as the sequence itself advances. Maybe it’s all about being understood, and showing others that you can feel the same as they do. 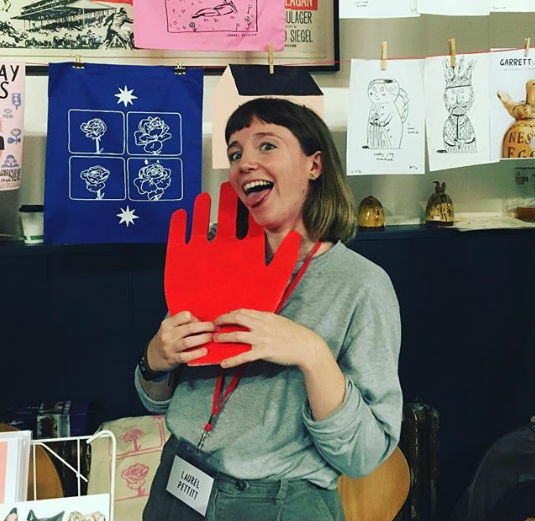 AO: As someone who’s tabled at a number of events like ELCAF and Thought Bubble, and been producing comics for a while, what have been the biggest challenges in self-publishing and raising the profile of your work? PETTITT: Personally, I think the biggest challenge is myself. I don’t like to shout about my work much but I know it’s essential to market myself if I want to be successful. It’s very easy to get depressed by social media like Instagram too, and to fall into a spiral of trying to get more followers and making for the sake of that rather than focussing on the work I want to make. Sometimes it feels like you need to be constantly churning out good work to keep up with the unrelenting flow of artwork on social media feeds. But I don’t think artists, people, should be expected to create top notch work every day. It takes time. 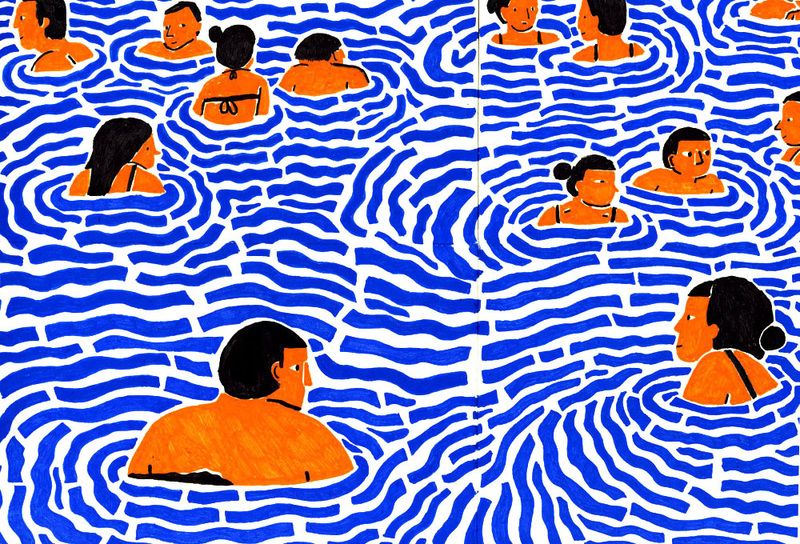 It takes finding your niche, your interests, to make work that’s original and true to you. Another challenge is the feeling of isolation. I work in my bedroom in my parents’ house and sometimes I forget that there’s a creative community out there past my phone screen. Plus there’s the money side. I might go to fairs and make a tiny profit past covering the money I put into printing my work. Or sometimes things might not sell at all. And when I don’t have many commissions on the go it does feel like this career isn’t very sustainable or reliable. But like I said before, a lot of this is myself, a lot of it is self-doubt. 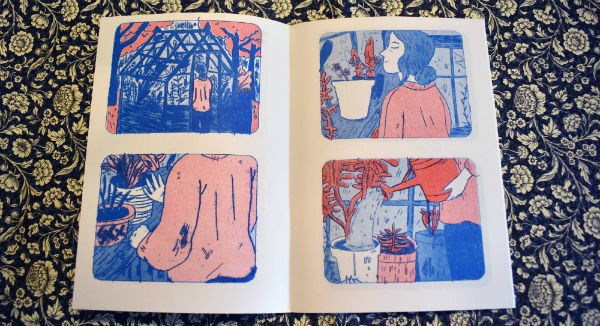 For example, I really thought I wouldn’t be able to get Ísland printed but thanks to the promotion and amazing support through friends, peers, strangers I was able to reach the goal through crowdfunding. The things that I’ve learnt and found that help are spending less time on my phone and checking for notifications and that fleeting dopamine hit. Going out into the creative community by attending talks, workshops, meet-ups, exhibitions, illustration festivals and small press fairs – those are amazingly refreshing, reassuring and inspiring events. 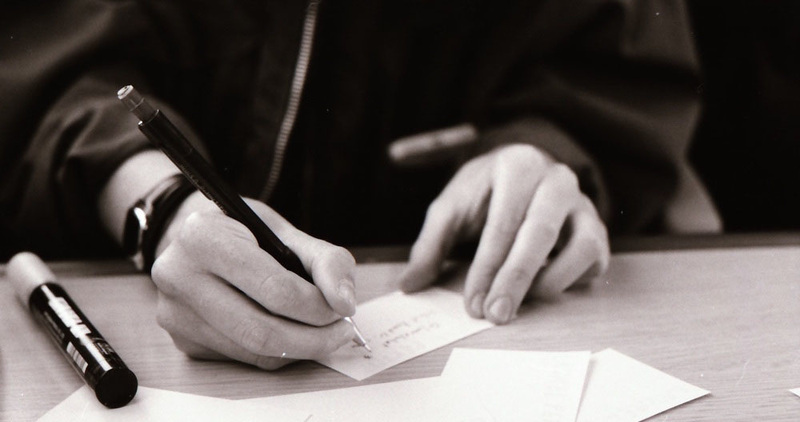 Reaching out to people is important too, whether that’s connecting with another artist or making your own opportunities through freelance work. Having an unrelated day job also takes the pressure off for making money through my work too. It’s easy to get frozen by all these challenges and to stop making altogether but if you get past them, shake yourself off, and put the work in to make something that you’re proud of then I think the self-promotion and production/self-publishing part comes naturally as the next steps. I’m yet to have something published but that doesn’t dishearten me, instead it makes me excited to create something that presses would want to publish! AO: And, customary last question, what are you working on next? Are there any upcoming projects you can tell us about? 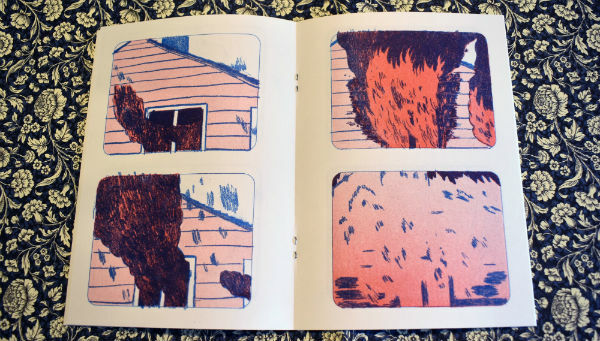 PETTITT: I was going to say that I was working on a longer-form comic about death and the mourning rituals we all practise from different cultures and religions. But at the moment that project has been put on the back-burner along with many other projects I have paused. To give you a taste of what I’ve been cooking up and then left to simmer but not forgotten, here are some of what those projects are about: death (as I said before), mystic cowboys, Norse gods, invisible sisters, beach holidays, urban magic, sun poetry, a giant and her human girlfriend, climate change and the reality of life as a university graduate. From my other work it may not seem that I am a nerd for strange things but I am, especially in finding the weird and wonderful within the everyday. Now, I’ve put those projects on hold to bring forward a project that is very important to me. It’s a project that I hold very close to my heart which I have been working on quietly in the background as a constant for years. It came to a point earlier this year when I decided that I wanted to prioritise this project. I don’t want to say too much about it because I always worry that when I announce that I’m working on a project then I will give myself too much pressure and not follow through. I absolutely love working on it so I hope others will realise or appreciate that when I reveal it later this year. I’ll give you a clue of what it’s about. It’s about summer. 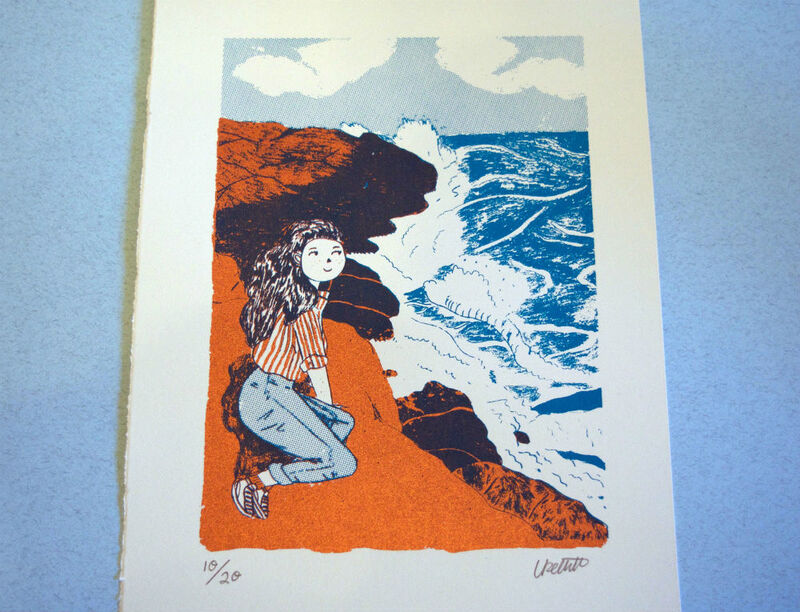 For more on Laurel Pettitt visit her site here, buy her work from her online store here and also follow her on Twitter and Instagram.